The acquisition of The Commerce Center reinforces our commitment to the East Bank neighborhood and community. We are looking forward to this historic building being part of our efforts to make downtown South Bend a more livable and workable 21st century city. Local developer David Matthews of Matthews, LLC has announced the purchase of the Commerce Center, a four floor, ninety thousand square foot office building located on the East Race waterway between Colfax Ave. and LaSalle Ave. in downtown South Bend. 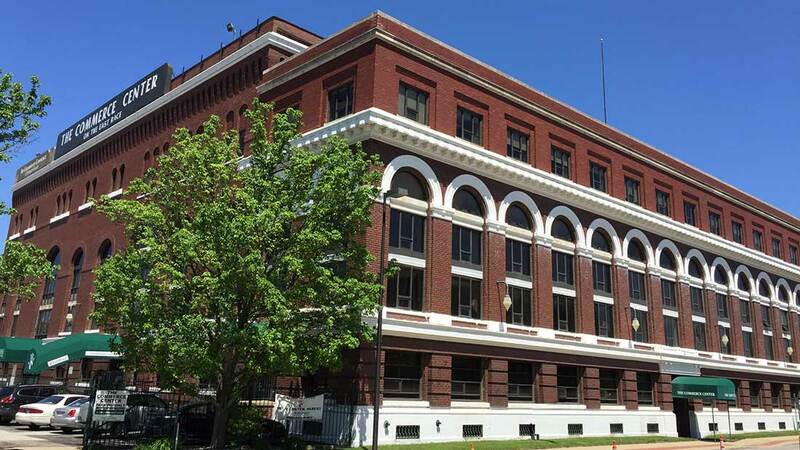 The Commerce Center is listed on the national register of historic buildings and was constructed at the turn of the century by the South Bend Electric Company, serving as a generator station from 1901 through 1978. The property was then converted into office space and was home to Memorial Health & Lifestyle fitness center in the 1980s. The largest tenants today are The South Bend Clinic LLP, The Chamber of Commerce of St. Joseph County, and Select Health Network, Inc.
Matthews, LLC with a focus on sustainability and energy efficiency, will invest immediately to bring the massive building, common areas, mechanical systems, grounds, and hundreds of parking spaces up to modern standards. Interested parties may contact Matthews, LLC at their office inside the Emporium building: 121 S. Niles Ave., South Bend, IN 46617.